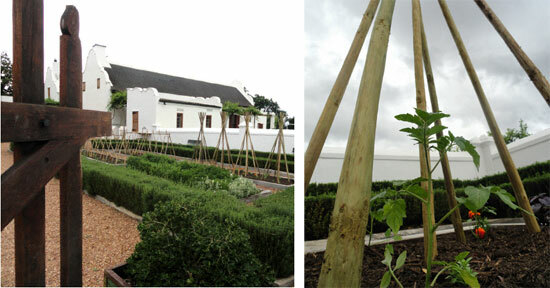 This season, we are excited about trying out tomatoes of all colours, shapes and sizes in our garden. In one little section of the garden, we decided to only plant non-heirloom tomatoes, and found several varieties that are locally available. We built high structures for the indeterminate varieties to climb, and lower structures for the determinate, more bush-like varieties. On closer look one can see the young tomato plants and their companions which I transplanted two days ago, after enriching the soil with our own garden compost. The little cherry tomato, Sweetie, is taking off on its summer journey. In our nursery, we have several heirloom varieties from France and Germany, just starting to germinate, and we’re especially thrilled that the Swarte Piet seeds that we saved from last season have emerged. Can’t wait to see them flourish once we’ve transplanted them to the garden. Last year our vining tomatoes did well against the white wall which encamp our mulberry trees. To anchor ropes for these vining tomato plants, river stones hang down on the other side of the wall, adding to the calm scene of the hideaway. I added some of the comfrey undergrowth to the tea we made of tomato plant rests. 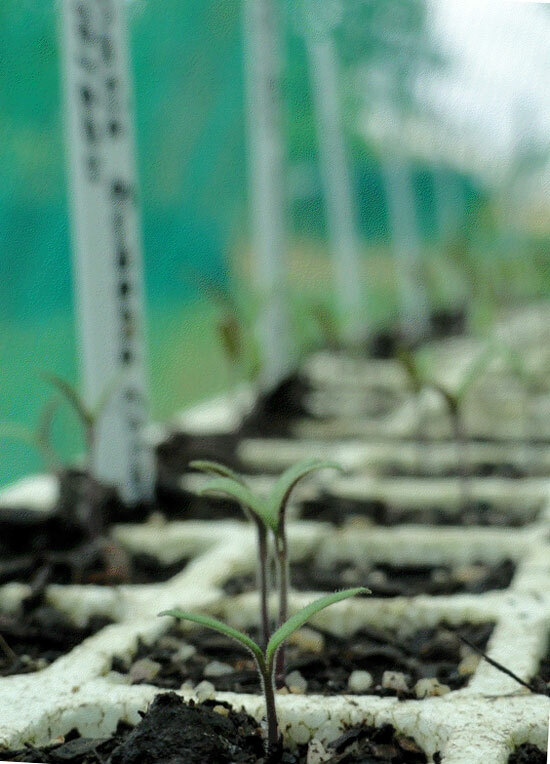 The idea is to boost our new plants with the familiar environment that tomatoes like, helping them to provide us with rich and ample harvest. And best of all, we’re looking forward to sharing our harvest with you soon!